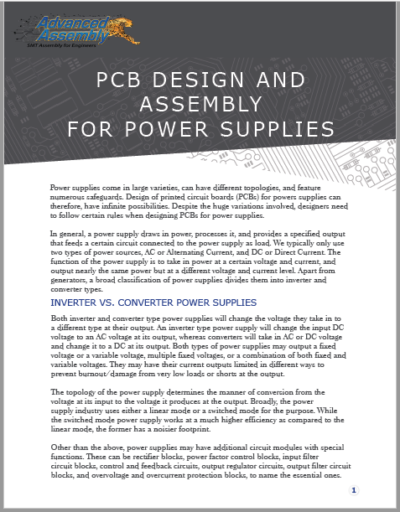 When it comes to designing power supplies, a well-laid out printed circuit board is essential. Read this article to understand the dynamics behind power supplies, and key design considerations such as current loops, grounding and layout for paralleling capacitors. Plus, received a $500 Off coupon on your next full turn-key, PCB assembly order.